Exercise bikes are among the most popular home training equipment. 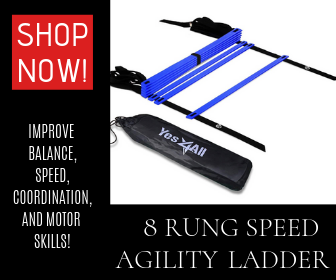 They are perfect for either training for a triathlon, getting a little cardio in, or even perhaps learning how to pedal your first bike. However, exercise bikes do tend to take up a lot of space in your house. This is not an issue if you get a folding exercise bike. All of the bikes on this list were selected to help you save space, without compromising your workout routine. 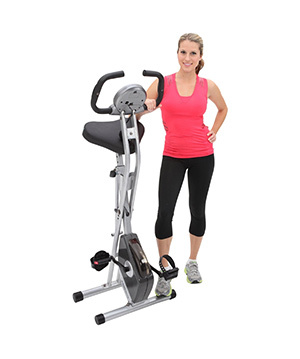 Folding exercise bikes prices usually range anywhere from $100 to $2,000. Most of the lower costing bikes are simpler to use and are just a straightforward bike on slats. The more expensive bikes offer higher-end handle grips and even LED screens to show how fast and far you are biking. 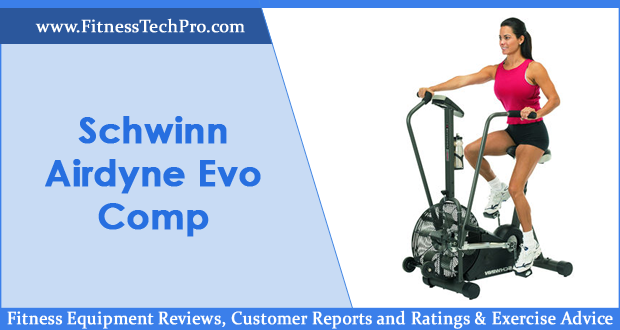 In this article, we have composed a list of great foldable exercise bikes from highest to lowest budgets. 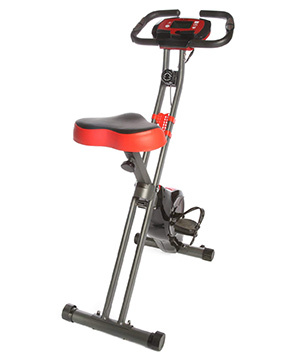 This folding exercise bike is made out of highly durable heavy duty steel. This allows it to have the high weight capacity of 400 pounds. It also features a large seat which is comfortable enough for people of all sizes. This bike is highly adjustable and will be comfortable for anybody between the heights of 5’1″ and 6’5″. The Exerpeutic GOLD also features an 8 level magnetic tension system and an LCD display screen. It can show you your calories burned, distance, time, speed, scan, pulse and odometer. This bike is perfect for anybody who is trying to lose weight. You can purchase Exerpeutic GOLD 500 XLS from Amazon for $189.05. 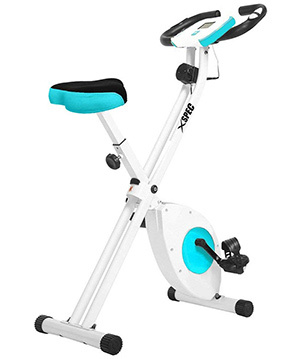 If you love to multitask, then the Wirk Ride Exercise Bike is the one for you. 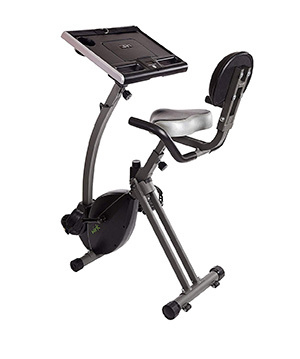 The 17.25″ W x 10″ D desktop work surface can be adjusted for bike riding or standing. It also features a cup holder, laptop strap, and display screen to track your time, speed, distance, calories, and total distance. This bike is super portable and has wheels to make storage a breeze. This two-in-one exercise bike and desk is ideal for busy people who do not have a lot of time to dedicate to exercising. You can purchase it on Amazon for $174.33. This is one of the best folding recumbent bikes on the market. The unique design makes it easy to get on and off of this bike. It has a weight capacity of 300 pounds and a large, padded seat and backrest. Other features of this bike include an 8 level magnetic tension system, a large LCD display screen, and hand sensors that read your heart rate. This bike is great for those with limited mobility who need extra padding and a seat that is easy to get into. This makes the Exerpeutic 400XL a perfect exercise bike for seniors and people recovering from injuries. The bike can be purchased from Amazon for $146.88. This stylish folding exercise bike is perfect for those with small living spaces. 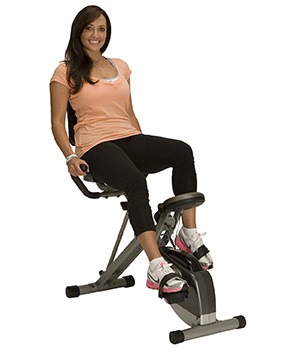 The Ivation Exercise Upright Cycling Bike weighs only 30 pounds and has wheels for simple portability. When folded, it could easily fit in any closet. 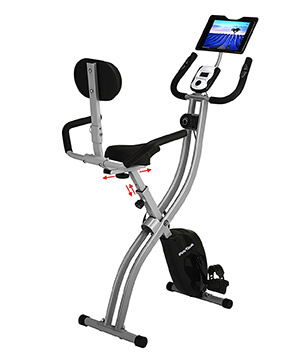 This folding exercise bike also features 8 level magnetic resistance, pulse monitor, display screen, and adjustable seat. 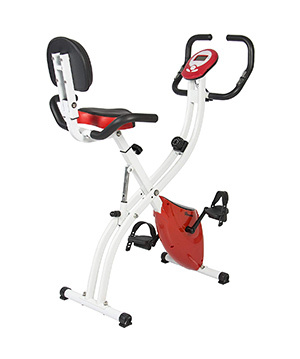 The Ivation Exercise Upright Cycling Bike is available on Amazon for $139.84. This simple and colorful folding exercise bike would make a great addition to any home. It has a weight capacity of 220 pounds and a large, padded seat. The lightweight aluminum frame and wheels make storage easy. The Xspec Foldable Stationary Upright Exercise Bike also features a tension system that allows you to customize your workout. It is easy to keep track of your time, speed, distance, and calories burned on the display screen. You can buy this exercise bike of Amazon for $124.99. This affordable folding bike is perfect for the beginner cyclist. Complete with a universal tablet mount for bikers who prefer some technological enhancements when you’re pumping out sweat and tears. It’s effortless pedals provide a quiet and smooth ride and has an adjustable back pad for different body sizes. With a built-in pulse reader, this bike’s LCD screen also displays time, distance biked, and how many calories you’ve burned. Due to its unique folding shape, it fits perfectly in your closet when you have guests or friends over. This folding exercise bike is available for purchase on Amazon for $124.79. For intermediate cyclists, this bike might just be your dream pick. Built from durable materials to withstand years of cycling, this bike is not only affordable but a great investment. With an adjustable seat, this Exerpeutic bike is perfect for cyclists of any weight or size. Also, a key feature it has is its hand pulse monitor which is perfect for those with health conditions. It’s slim and foldable design is perfect for those who either need to store it in their closet or would like to bring it in their car. For just $124.57, you can purchase this bike on Amazon. As this is a more standard issue bike, it is perfect for a cyclist with any range of experience. 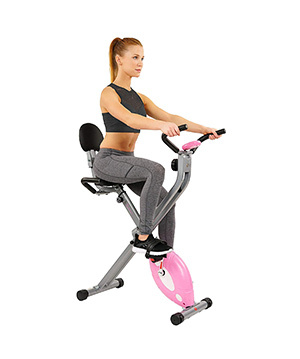 Among the great features the Marcy Foldable Exercise Bike comes with is its LCD screen which shows the time, how far you’ve biked, and how many calories you’ve burned. Made from high-quality steel it is not only durable but can also fold easily for simple transportation. 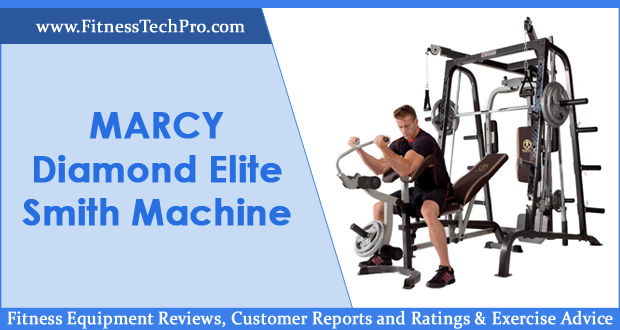 This Marcy Exercise Bike might not be very flashy, but it is perfect for those who are looking just for a solid, well-built exercise bike. This exercise bike is available for purchase on Amazon for $119.99. This gleaming red foldable cycling bike is perfect for any range of experience. It is affordable and well built to last for years. Its vibrant display screen shows the time, speed, and calories burned. Also, the bike has a variety of positions you can set it into for the maximum workout. Much like the Marcy Folding Exercise Bike mentioned earlier, this bike doesn’t come with a lot of features, but it does its job well and consistently. You can buy this bike on Amazon for $114.95. This pink foldable bike is one of the most affordable ones on the market. But don’t let the price tag fool you, this bike is packed with features. From durable foot pedal straps to its display option to see how hard you’re working, this bike is perfect for beginner cyclists. Also, its cushioned back is perfect for senior athletes who need more support. 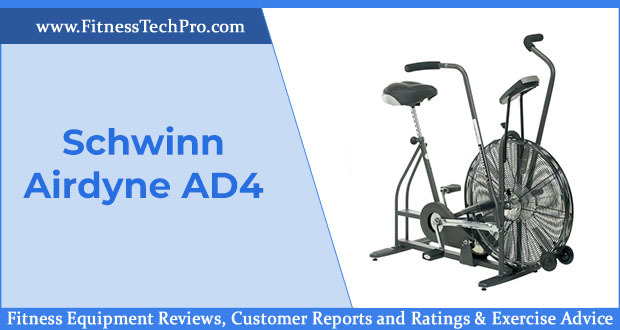 Overall, it is one of the best folding exercise bikes to have in your home, for light workouts and cardio. You can buy this bike on Amazon for just $98.95. There are plenty of affordable folding exercise bikes on the market today, all with impressive features and advantages. 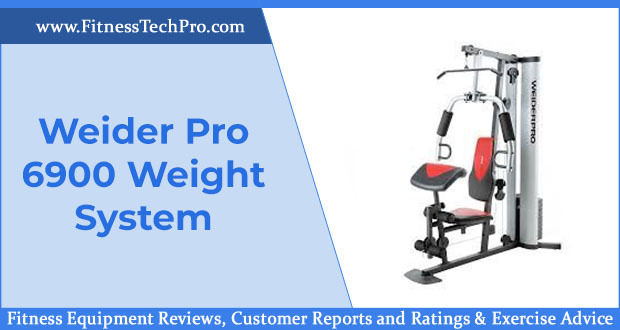 However, the Exerpeutic Folding Magnetic Upright Bike with Pulse is the best folding exercise bike out there today because of its high-quality construction and workout tracking technology. 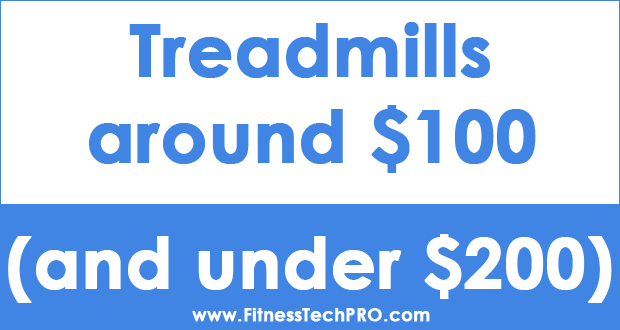 We believe it has the best price for value ratio of all the folding exercise bikes on this list. Have any questions, comments, or personal experiences you would like to share? Comment below! This is a really good article! I love how compact all these models are. Most are fairly inexpensive too. I’ve been looking for a folding exercise bike to throw in front of the TV to burn some extra calories in the evening. The Marcy Foldable Exercise Bike really looks nice. Yes, a lot of users love that model. Are thinking of buying it?